Is guiding the love lives of reality show celebrities every week in front of millions of American viewers really be all fun and games it appears to be? It seems that way. On ABC’s hit series The Bachelor and The Bachelorette Dallas-born Chris Harrison appears into the country’s living rooms every week to officiate over how either one woman or one man seeks their perfect mate, from a selection of 25 eligible singles. New York Giants back-up quarterback Jesse Palmer is the latest lucky man out to find the woman of his dreams on The Bachelor. In the TV world the ratings don’t get any better, and a part of that success is the way host Harrison presides over the series. Here the Texan divulges a behind the scenes look at the show – and what it’s like to be a Texan making it big in Hollywood. Lance Avery Morgan: The shows, The Bachelor and The Bachelorette, have taken America by storm – why do you think the series has become so popular? Chris Harrison: We really seem to have struck a chord with the country. It gives our viewers at home a safe place to judge from their own couch in a safe environment. Also, the show really strikes a cord with women – and men, too – because we all want a fairytale relationship in life. Unlike the other reality dating shows that have formats like ours, the twists are there to help. The shows give the best chance for succeeding at a relationship. LAM: The show is filmed over the course of many weeks, to air over ten to twelve weeks – so there’s a lot of action that happens – tell us about that accelerated pace of events. CH: In the show, everything that happens is happening in reality while the people are living in the house over that same amount of time. There is a painstaking attention and amount of work done by the producers and creators of the show. Many other reality dating shows shoot their entire run in just a couple of weeks, so ours is pretty much real time. LAM: What about the camaraderie between the bachelorettes and bachelors – do they really get along or is there some rivalry? CH: The unique aspect of the show is that genuine friendships are formed onscreen and off. It’s almost like a weird fraternity, especially after each season ends. Because the house in which the people on the show live has no television, no phones, and no outside news, so the friendships are intense. All they have to think about is the actual “act of dating” for the show, so after the show ends, they take trips that are like mini reunions. LAM: Any favorite bachelor or bachelorette stars that you enjoyed most? CH: It’s funny, I am the entire cast that is hired for the show, since everyone else appears only on one season. I do get a chance to be friends with everyone. When I learned Trista was going to be the first Bachelorette, it was a big deal and ground-breaking, too. It was fun to do that second season with her. I really like Trista and Ryan, and of course,. In fact, we all went skiing recently. I really identified with Aaron Berge, who was our bachelor from Midwest – we definitely had the same values. The same goes for bachelor Bob in the last The Bachelor season. LAM: Is the “rose ceremony”, which signifies the choices the star makes for the next round of dating choices, all it appears to be? It looks really stressful on this side of the television screen. CH: The first rose ceremony is interesting – when people find themselves in the ceremony in a group setting and leave as a group early on. From the second round forward it gets really serious as individuals are singled out as not making it to the next level. It becomes more intense and people feel the rejection on a much more personal level – and the viewers see that, too. LAM: Since this is our Travel issue – where is the most jet set-y place you and your wife have ever been? CH: My wife and love the north shore of Kauai in Hawaii – it is beautiful. The creator of the show has it and lends it to us sometimes. I love to surf and play golf, so it really is ideal. To me it combines the best of Mexico and Key West. LAM: You bring your nice guy sensibility to the series – what is it about being raised a Texan that has helped in your success? CH: You know, I never really auditioned for the show. A large part of the reason is that the producers wanted someone who is married so there would be no element of that person hitting on the women contestants. Because of this, they wanted the role to be that of the Bachelor’s best friend – again, not hitting on the women. Because of the fact that I am a decent, down home guy, they thought I might be right for it. LAM: Are there some perks of hosting such a popular show? CH: You bet - there are so many things. I am a big sports fan, so attending the ESPY awards was a treat. When ABC aired the Super Bowl in San Diego, I got to attend that. I also love to ski, so attending ski events is fun, too. I’ve also had a chance to meet some of my heroes like Barry Sanders and astronaut Buzz Aldrin. My kids love Disneyland, and now we have a guide to take us around so we don’t have to stand in long lines. That’s a nice perk, too. LAM: You’re in Dallas this month as a celebrity waiter for a terrific community service endeavor, Jonathan’s Place. Tell me why the cause is close to your heart. 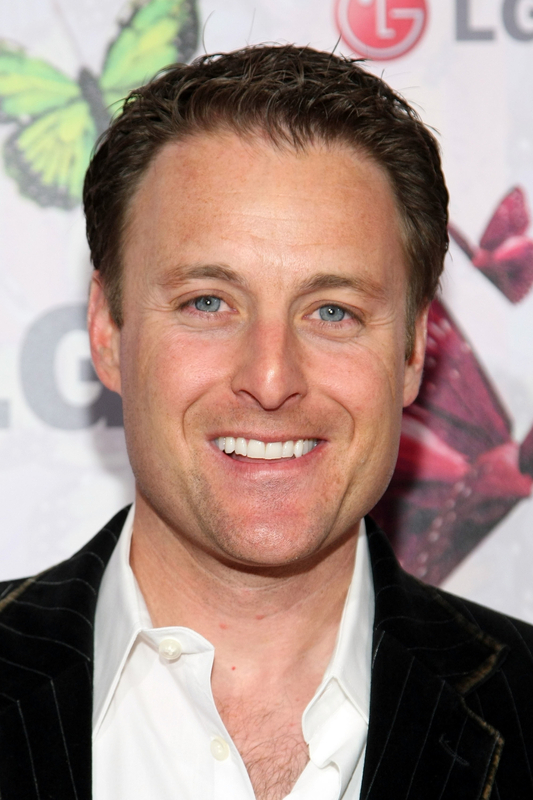 LAM: So how else does Chris Harrison stay busy? CF: The Bachelor series should stay popular for a while and I am also the host of Designer’s Challenge for several seasons on HGTV – we will be traveling around the country for 26 episodes. CF: Having most of my family in Dallas makes a difference. My wife is from San Antonio. So everyone really keeps me grounded. I realize this can all go as quickly as it comes and I’ll enjoy it for as long as I can.